This gives a startlingly different perspective of life in Africa to emphasize the idea that there are many people there who live fairly normal lives and not in refugee camps fighting for their lives. The heroine is Aya, a nineteen year old young woman who lives in the poorer part of town and wants to study to go to university. She also does the typical teenage-y stuff like think about boys, shopping and clothes, but not to the same extent as her friends do. Both of her parents would like her to get educated, but her father believes that university is only for men, so Aya just keeps plugging away at her academics. And now that I have finished reading the book, it seems that not much really happened, plot-wise. Well, someone gets pregnant accidentally (not Aya), but in retrospect, I think the book’s main goal is to be a superbly well-drawn graphic novel describing three young woman during a time of peace and fair prosperity in Africa. 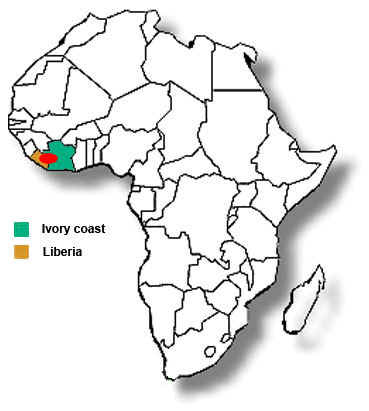 It teaches readers about the every-day life of Africa and is a good reminder that there are large numbers of Africans just living average decent lives like the rest of us. Since this book has been published, there are now two more volumes out which follow Aya and her friends as they grow up and these will to be ILL’d at some future date, I expect. A good find, a fast read, and great art. 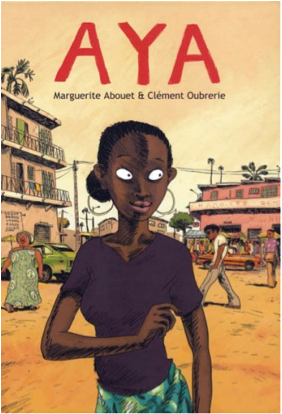 To see a review of the first volume of this series: check out Aya by Marguerite Abouet and Clement Oubrerie (2013). More good stuff. This entry was posted in Uncategorized and tagged Africa, gender roles, graphic novel, history, present, women by lizipaulk. Bookmark the permalink.